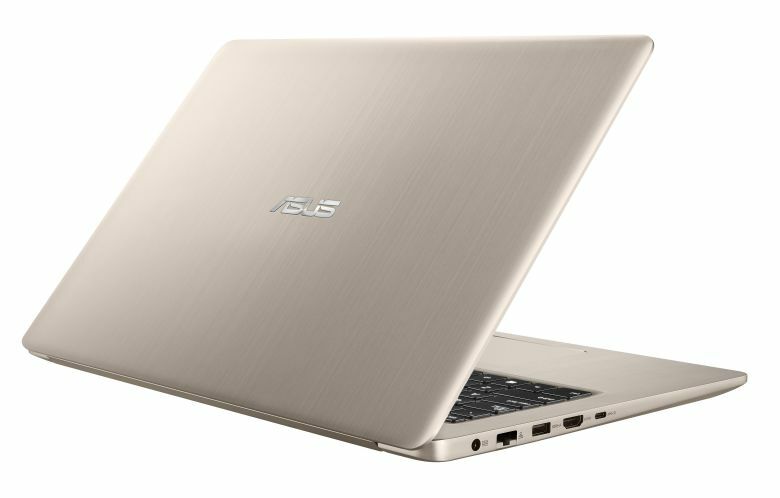 ASUS has announced its ZenBook and VivoBook line-up of thin and light laptops at Computex 2017. The company also announced ASUS Designo MZ27AQ monitor and Zen AiO ZN242 is a premium high-performance all-in-one PC. Check out more details below. According to the company, ASUS ZenBook Flip S is world’s most compact and durabl360-degreeee hinge convertible. It combines sophistication with the convenience and versatility of a 360° display at only 10.9 mm thin and 1.1 kg light. 1TB PCIe SSD to allow you to sail through everyday computing tasks with ease. New cooling system using state-of-the-art components including a liquid-crystal-polymer fan impeller that’s just 0.3 mm thin. The up to 4K UHD multitouch NanoEdge display on ZenBook Flip S supports an active stylus, combining an amazing visual experience with the convenience of effortless and intuitive interactivity. ASUS ZenBook Flip S starts from USD$1,099, and will be available this summer. ASUS ZenBook Pro is the thinnest, lightest and most powerful ZenBook Pro ever, offering a winning combination of serious performance and supremely elegant design. ZenBook Pro is compact, with all-aluminum unibody that’s just 18.9 mm thin and 1.8 kg light. 7th Gen Intel Core i7-7700HQ quad-core processor. NVIDIA GeForce GTX1050 Ti graphics. 15.6-inch 4K UHD NanoEdge display. Quad-speaker Harman Kardon surround-sound audio. A fingerprint sensor for quick and secure one-touch login with Windows Hello. ASUS ZenBook Pro starts from USD$1,299, and will be available this summer. 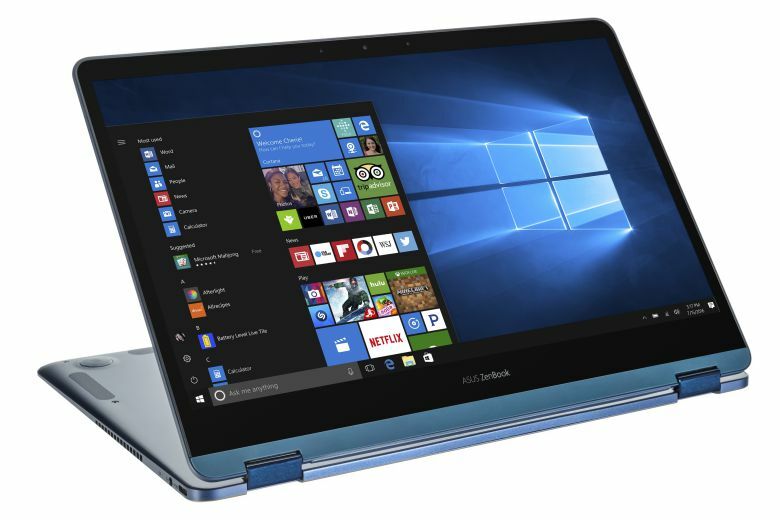 The stunning, all-aluminum ASUS ZenBook 3 Deluxe offers the perfect balance between portability and productivity with a 12.9 mm-slim and 1.1 kg-light 13-inch-class chassis that houses a gorgeous 14-inch NanoEdge ultra-narrow-bezel display. 7th Generation Intel Core i7-7500U processor. Up to 16GB of 2133MHz LPDDR3 RAM. A blazingly-fast up 1TB PCI Express (PCIe) SSD. Unrivaled expansion capabilities are provided by two USB Type-C (USB-C) ports that are Thunderbolt 3-enabled with support for 40Gbps data transfers, dual 4K UHD external displays and power delivery. Equipped with a fingerprint sensor for easy one-touch login with Windows Hello. 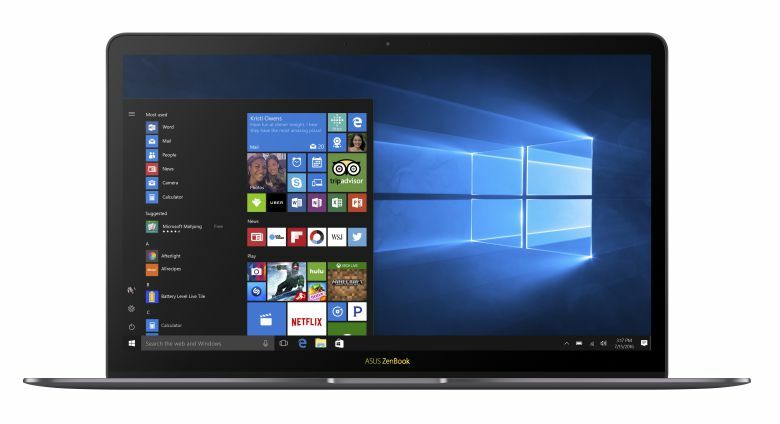 Pricing and Availability: ASUS ZenBook 3 Deluxe starts from USD$1,199, and will be available this summer. 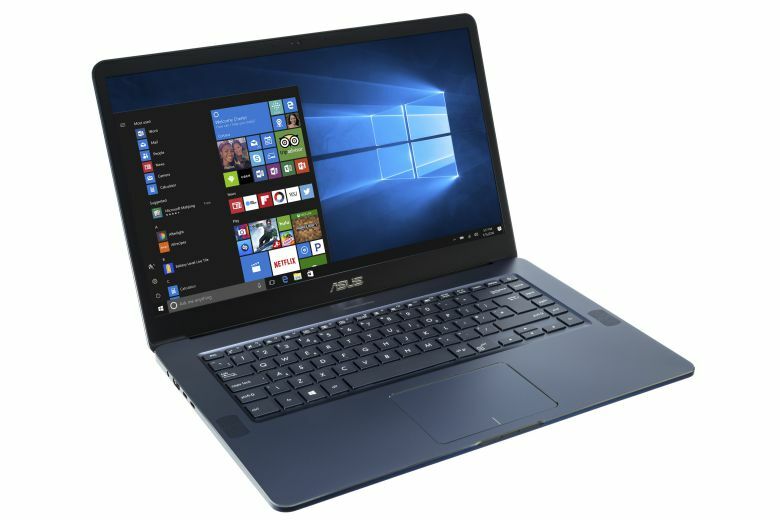 ASUS VivoBook Pro 15 is a slim and lightweight 15.6-in laptop powered by a 7th Generation Intel Core i7-7700HQ quad-core processor with up to 16GB DDR4 RAM, NVIDIA GeForce GTX 1050 graphics. VivoBook Pro 15 also features hybrid storage and can be specified with up to a 2TB hard disk drive (HDD) and 512GB SSD. A dual-fan cooling system with a dual-copper thermal module and heat pipes ensures the system stays cool during intense gaming sessions or under heavy loads. VivoBook Pro 15 has a 4K UHD (3840 x 2160) display with wide-view technology, anti-glare coating and a wide 100 percent sRGB color gamut. It features Harman Kardon-certified audio, including twin speakers with large 8 cc audio chambers and smart-amplifier technology for 3.2X louder volume. VivoBook Pro 15 has a fingerprint sensor for one-touch login via Windows Hello, and features support for ASUS Pen. ASUS VivoBook Pro 15 starts from USD$799, and will be available this summer. 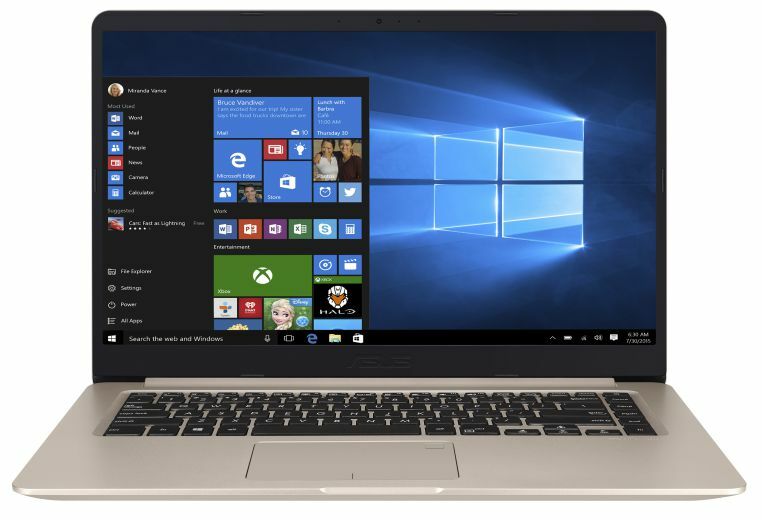 This VivoBook S15 is 15.6-inch slim and lightweight laptop with a 17.9 mm profile and weighing just 1.5 kg. It features a NanoEdge display with a slim 7.8 mm bezel that provides a larger display area for more immersive viewing. This stylish laptop is powered by the latest 7th Generation Intel Core i7-7500U processor with up to 16GB DDR4 memory and features NVIDIA GeForce 940MX graphics. ASUS VivoBook S15 starts from USD$499, and will be available this summer. ASUS Designo MZ27AQ features a 27-inch 2560 x 1440 WQHD IPS panel with a wide 100% sRGB color gamut. This ultra-slim display measures just 7 mm slim at its thinnest point, and features a frameless panel design. It features integrated ASUS SonicMaster technology, with 12W stereo speakers and an external 5W subwoofer co-developed with Harman Kardon for 2.1-channel audio, a DisplayPort and two HDMI ports. ASUS Vivo AiO V241 is a stunningly beautiful 23.8-inch all-in-one PC designed for effortless everyday computing and immersive home entertainment. Full HD NanoEdge multitouch display with wide-view technology and a near-invisible physical bezel that gives it an incredible 88 percent screen-to-body ratio. ASUS Splendid and ASUS Tru2Life Video technologies deliver vibrant and vivid visuals with superb detail. Vivo AiO V241 has a powerful ASUS SonicMaster stereo audio system incorporating two advanced bass-reflex speakers for incredibly rich, full and immersive sound. Powered by Windows 10, the latest 7th Generation Intel Core i5 processor and NVIDIA GeForce 930MX discrete graphics. ASUS Zen AiO ZN242 is a premium high-performance all-in-one PC, featuring a 23.8-inch multi-touch NanoEdge display with an ultra-thin 2 mm physical bezel and an incredible 90 percent screen-to-body ratio for unbounded visuals. Designed to deliver the ultimate all-in-one computing experience, Zen AiO ZN242 is powered by up to a 7th Generation Intel Core i7-7700HQ quad-core processor, 32GB of RAM, NVIDIA GeForce GTX 1050 graphics, and a 512GB PCIe SSD or a hard disk drive enhanced with the revolutionary Intel Optane memory.